The old city of Dubrovnik, which delves into the Adriatic Sea with a backdrop of rugged limestone mountains, is known as one of the most beautiful and best preserved medieval towns in the world. For centuries, Dubrovnik competed with Venice as a trading port, with its huge and sturdy stone walls, built between the 11th and 17th centuries, providing protection to this ancient city-state. Today, these walls, which protected a civilized and sophisticated republic for centuries, still enclose the historic center of Dubrovnik and it is possible to walk on them with the best views of the Pearl of the Adriatic and its lush green islands of turquoise waters. Its white limestone streets, baroque buildings and the infinite shine of the Adriatic Sea make Dubrovnik one of the most romantic cities in the world. Although the bombing of Dubrovnik in 1991 horrified the world, the city recovered vigorously to enchant its visitors again. Dubrovnik has a convenient bus system for those who do not want to walk or take a taxi to get around the city. Dubrovnik has a warm subtropical Mediterranean climate with a dry and hot summer and a moderate seasonality. Winters offer mild temperatures and a rainy and variable climate. As for the best areas to stay, the historic city center offers medieval street full of charm and most of Dubrovnik’s tourist attractions ( see hotels in Dubrovnik’s Old Town). If you are looking for tranquility and a more “small town” vibe, then Cavtat is probably the best option (see Cavtat hotels). 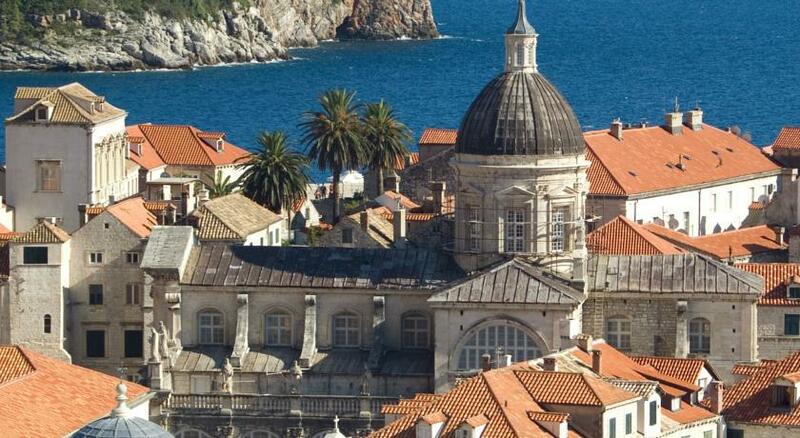 This is a list with the top districts to stay in Dubrovnik, Croatia. Stari Grad means “Old Town” and it is the historic quarter of Dubrovnik. The ‘Pearl of the Adriatic’, located on the Dalmatian coast, became an important maritime power in the Mediterranean region from the 13th century onwards. Although severely damaged by an earthquake in 1667, Dubrovnik managed to preserve its beautiful Gothic, Renaissance and Baroque churches, monasteries, palaces and fountains. 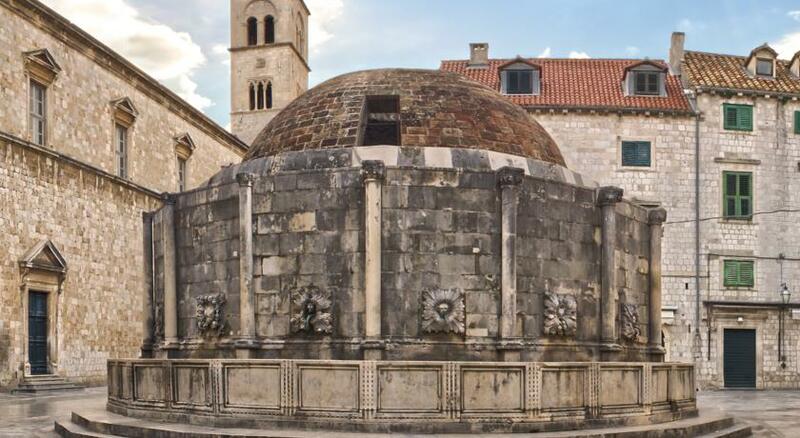 Although the city was damaged again in the 1990s by the armed conflict in the Balkans, the city is now the focus of a major restoration program coordinated by UNESCO. For centuries, Dubrovnik rivaled Venice as the quintessential commercial port of the Mediterranean, with its massive, solid stone walls, built between the 11th and 17th centuries, which provided protection to this ancient city-state. 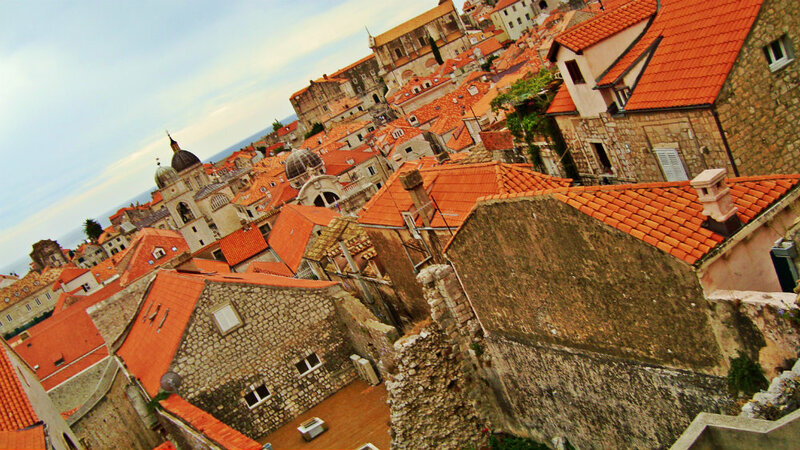 Today, these walls still enclose the historic center of Dubrovnik. Dubrovnik’s churches, monasteries and baroque palaces, its fountains and Renaissance facades stand on its gleaming marble squares. 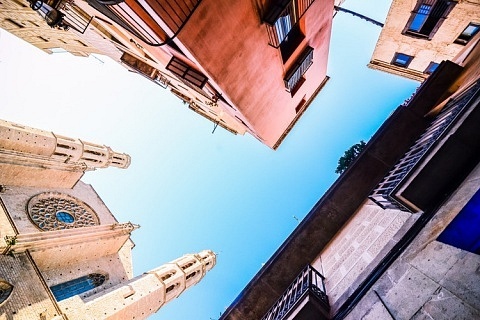 Most cobblestone streets and houses in the Old Town have remained unchanged for centuries. The attractions of Stari Grad include its famous city walls, with its towers and fortresses, the Knezev Dvor and Sponza palaces, the churches of Sveti Vlaho, and Dubrovnik Cathedral, several monasteries, the Stradun square, Luža square, Orlando’s Column, Jesuit Stairs; the Bell Tower and the Old Port. Studio Stradun enjoys a convenient location on Dubrovnik’s famous waterfront, within walking distance of many shops, bars and restaurants. It offers studios and air-conditioned rooms with free Wi-Fi and TV. Villa Sigurata is located in 3 stone houses in Dubrovnik’s Old Town, 50 meters from the famous Stradun Street. It offers air-conditioned rooms with a flat-screen satellite TV and stone elements. Pucic Palace occupies an impressive 18th-century Baroque building, located in the historic center of Dubrovnik, next to Stradun Street, combining classic architecture with the comforts of a 5-star establishment. Cavtat is probably the most southern resort in Croatia, located about 20 km south of Dubrovnik and only 22 km from the border with Montenegro. Cavtat is an extremely nice town, and it is a great place to stay if you are looking for all the sights and culture of Dubrovnik, but do not want the hustle and bustle. It is very easy to travel between Cavtat and Dubrovnik. 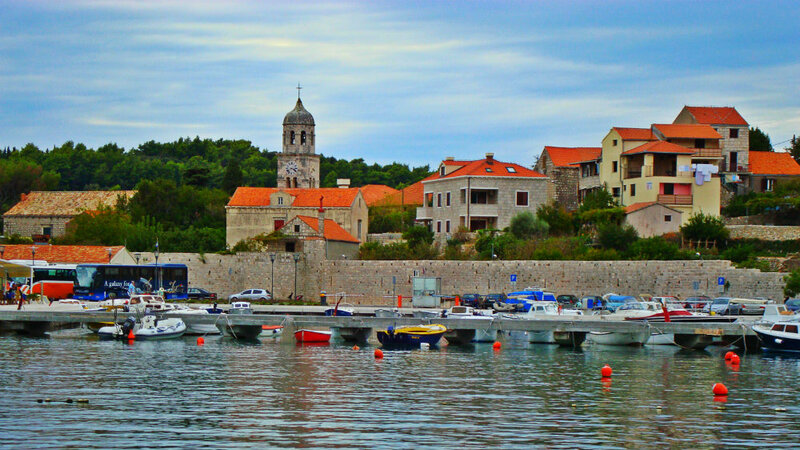 Without Cavtat, there would be no Dubrovnik, since it was refugees from the original Cavtat who founded the city of Dubrovnik in the year 614. But Cavtat is an interesting destination in itself. Much more “local” than Dubrovnik, that is, it is not flooded by tourists every day, and it also has its own charm. Its beautiful harbor, surrounded by beaches and with a backdrop of towering hills is nothing if not charming. 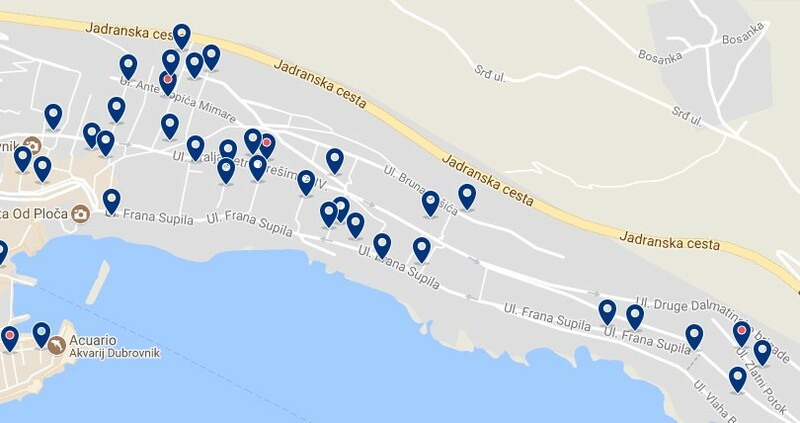 Cavtat is very easy to access from Dubrovnik and vice versa: local bus number 10 makes this route approximately every hour. You can also travel between the two by boat and water-taxi. Cavtat is actually very close to the Dubrovnik airport. If you fly from the airport, which is only 6 km away, it is easy to get to Cavtat by taxi. Fox Apartments offers self-catering accommodation in Cavtat, 1 km from the historic center. It is located in a quiet area and has terraces with views of the sea and the islands of Mrkan and Bobara. It provides free Wi-Fi connection. Offering a garden, Guesthouse Marija is located in Cavtat, near the Cavtat promenade. Free WiFi in all facilities. There is a fully equipped private bathroom with a bath or shower and free toiletries. Marojica Apartments offers accommodation in Cavtat, a 13-minute walk from Cavtat Promenade. Free WiFi available. All units have a living room, a flat-screen TV, an equipped kitchen and a private bathroom. Ploče is one of the districts of Dubrovnik, just east of the old town. Ploče is the most attractive area to stay in Dubrovnik (apart from the Historical Center). 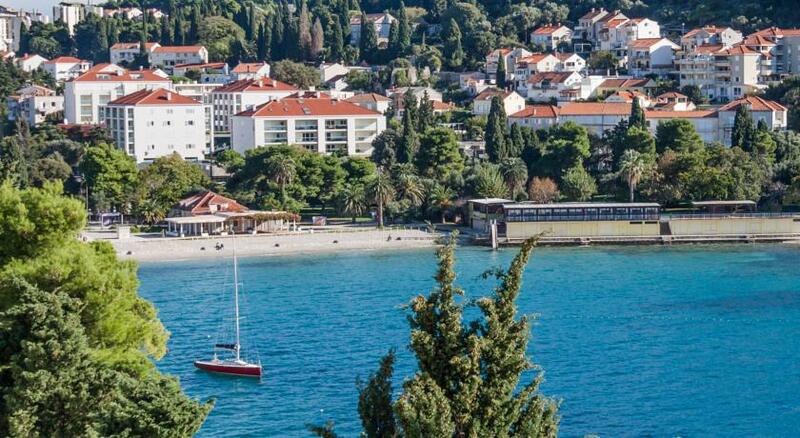 Ploče iza Grada can be translated as Ploče “behind the city”, which is exactly where the Ploče district is located. 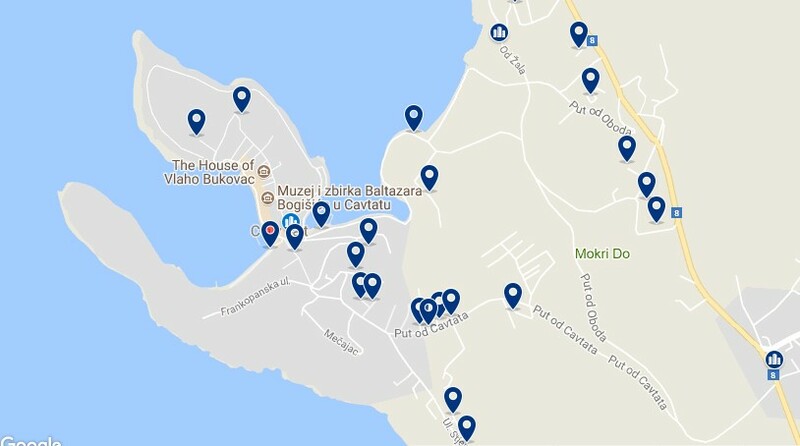 From anywhere in the Ploče district you can easily reach the Old Town. This district is located next to the eastern walls of the city, which means that it is a few steps from the attractions of the Old Town (5-10 minutes on foot). Ploče is an excellent place to stay because it combines the two best characteristics of Dubrovnik: views of the sea and the historical charm of the old city. Some of Dubrovnik’s most exclusive hotels are located in front of the beach in this area. From many of Ploče’s hotels, rooms offer views of the old city walls, the blue Adriatic water and the lush vegetation of nearby Lokrum Island in the distance. The bustling historical area of ​​Ploče is right next to the city walls, where you will find charming cafés, souvenir shops and several historical attractions. Banje Beach, the most attractive public beach of Dubrovnik, is located in this area. Here you will also find the boarding station of the Dubrovnik cable car. Dubrovnik Sunset Apartments is located at the entrance to the Old Town, and is only 300 meters from Stradun and 5 meters from the beach. All accommodations offer views of the center, and some have views of the Adriatic Sea. Dubrovnik Residence is 100 meters from the beach and 500 meters from the Old Town of Dubrovnik. It offers air-conditioned rooms with free Wi-Fi and free private parking. All rooms are modern in style. This 5-star hotel occupies a monumental building facing the sea, just a 5-minute walk from the historic center of Dubrovnik. It offers 850 m² luxury spa, private beach and 4 restaurants. Lapad is a large peninsula just outside Dubrovnik’s Old Town, on its western side. Lapad is mainly a residential district, located about 3 km northwest of the walled city. The interior part of this neighbourhood is very quiet and full of green areas, with many views of the sea and some excellent restaurants. Lapad boasts a large amount of accommodation options, including hotels, apartments and bed and breakfast, but as it is so residential, you do not have the feeling of being in a super touristy spot (like you do in the Old City). 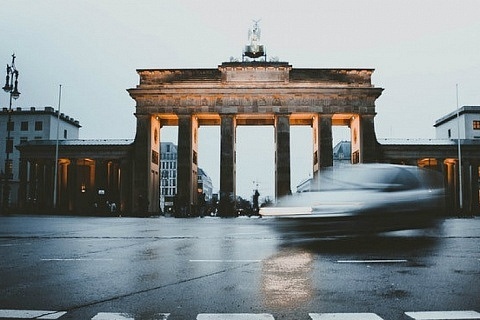 There are bars, cafes, restaurants and shops used by locals and visitors alike. Lapad is a relatively new part of Dubrovnik. Lapad Bay is perhaps the best bay for swimming in Dubrovnik. The area is like a valley between two hills. Most of the accommodation options here are located in the valley or in the lower parts of the hills. Lapad has a large stretch of gravel beach, so no matter where you stay, you’ll always be a short distance from the sea. 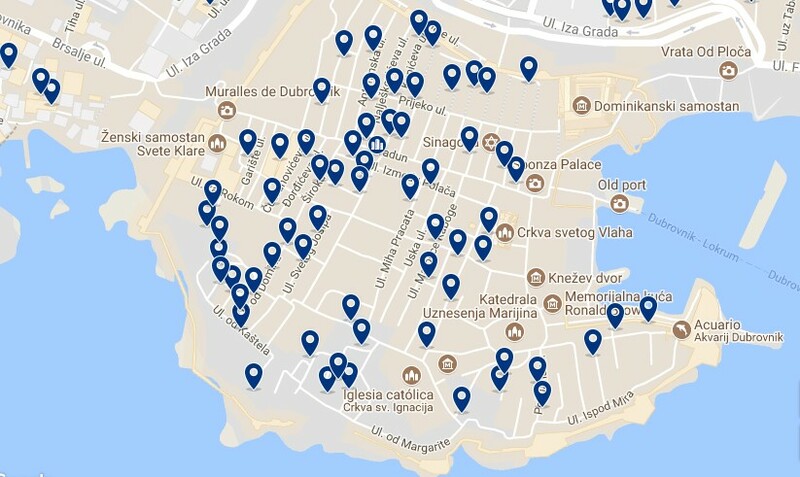 To get to the peninsula from the old town of Dubrovnik you can take a bus from the Pile-bus station Libertas, routes 2, 6 or 4. Guest House Lile is 1 km from the nearest beach and 2 km from Dubrovnik’s Old Town, a UNESCO World Heritage Site. It is surrounded by a well-tended garden and enjoys a quiet location near the forest. Located in Dubrovnik, 1.8 km from the city center, it offers accommodation, free Wi-Fi and free parking. The accommodation offers with a seating area, a dining area, a kitchenette, a private bathroom and a flat-screen TV. City Break Apartment is an accommodation located in Dubrovnik, 1.4 km from the Old Town. This two-bedroom apartment features free WiFi, a flat-screen satellite TV, a washing machine and a kitchen with a dishwasher. Located north of Lapad, Babin Kuk is the beach area par excellence of Dubrovnik. Adorned with shrubs and Mediterranean trees, this quiet peninsula offers a more “resort” experience than a cultural or urban one. Babin Kuk is ideal for families, since there is a lot of wooded space and hotels are usually very family-friendly. Couples looking to pamper themselves at a five-star hotel, relax on the beach or take romantic walks will also enjoy Babin Kuk. However, spending time with the locals is not part of the Babin Kuk experience. As there are few residences and even fewer restaurants and cafes, hotel guests have to utilize the hotel facilities or take one of the frequent local buses to go to the old town of Dubrovnik. The southern tip of Babin Kuk contains the largest beach in Dubrovnik, Copacabana, a well-equipped pebble beach for a day of sun and sea. Those looking for a more exclusive beach experience should head to the nearby Coral Beach Club, one of the best beach clubs in Croatia. This new and modern establishment looks towards the island Daksa and is known for its cocktails. For a different view, try Solitudo beach a few steps east of Copacabana. Hotel Neptun Dubrovnik was renovated in 2015 and enjoys a quiet beachfront location on the Lapad peninsula. The hotel is surrounded by aromatic pines and offers magnificent panoramic views of the sea. Most rooms have a balcony. Guest House Mrdalo is located in the northern part of the Babin Kuk peninsula and offers air-conditioned rooms and apartments with a private terrace or balcony. The beach is 5 minutes away on foot. 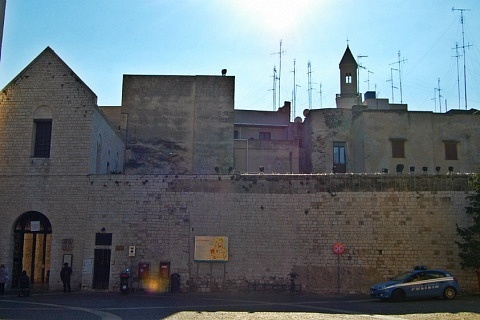 The property is 1.4 km from the Franciscan Monastery and 500 meters from the sea. This air-conditioned apartment features a balcony, satellite TV and a full kitchen with a dishwasher and a microwave. The private bathroom includes a bath or shower and a hairdryer.